Ian McKeever’s show of paintings at Galeri Susanne Ottesen, ‘Portrait of a Woman’, which I managed to catch during a recent 24-hour stopover in Copenhagen, gave me a great deal to think about. None of it, sadly, to do with finding all that much to celebrate in the works themselves – more about them in a moment – but rather, with the realisation that my views on abstract painting in general, and McKeever’s paintings in particular, have undergone a radical transformation in the last couple of years; to the point where I’m left feeling a little embarrassed at having spent so much time allowing myself to be carried along by the approving critical consensus, and overlooking what I now consider to be fundamental problems with the work. I wanted to like the new paintings, I really did; however, since any honest assessment I could make of them would be little better than a hatchet job (fun to write, but, I suspect, a lot less fun to read) I have opted to go further, and use McKeever’s work as a hook on which to hang various thoughts I’ve been having, about both abstraction, and abstractcritical/Abcrit. So, the show: for anyone familiar with McKeever’s work, from its regular outings on Cork Street, or the Royal Academy, there would have been precious few surprises. The Galeri Susanne Ottesen was having a good old try at persuading visitors otherwise, though: leafing through the handout for the exhibition, I learned that the title, ‘Portrait of a Woman’, shared by each of the eight oils and gouaches, alluded to ‘early Italian portrait painting’ and that the works reflected ‘various formal devices…how the subject is being framed, the softer modelled face, how the figure is being defined in relation to such things as formal clothing, hair decorations, or surrounding architectural features.’ I have no idea whether the artist himself was behind this attempt to shoehorn figurative references into the paintings, or if his dealer insisted on it: but either way, the paintings themselves were entirely oblivious to all the fuss, and were quietly getting on with the job of closely resembling a great many previous McKeevers, deploying the same vocabulary of ‘veils’ and interwoven ‘filaments’ of thinly-applied paint that he has been steadily refining over the last two decades, and not giving the slightest hint of any detectable connection whatsoever with early Italian portrait painting. Which is not to say that there hadn’t been fresh developments: this time round, the works were all triptychs, and although the familiar tropes were all on show- the images woven together out of layers of thinned pigments, poured onto the raw canvas in the paintings, brushed onto already-wetted paper and allowed to bloom and spread in the gouaches – in each case they were confined to the work’s central panel, and were flanked on either side by panels of a single colour, deep burgundy, green, orange or black, scrubbed, poured or stained into the canvas or paper to form blocks of matte pigment. Nevertheless, it was impossible to shake off a strong sensation of déjà vu: the layering of white over black, or black over white, or white over a single colour, creating recessive interior spaces honeycombed with phosphorescent vaults and tunnels, has been the greater part of McKeever’s signature for a long time now, and there were sections of the new paintings that appeared to be a straight reprise of earlier work, such as the central panel of ‘Portrait of a Woman 1’ which bore a startling resemblance to ‘Hartgrove Painting 4’ of 1993-4. Over the last couple of years, McKeever has executed a large number of small works on plywood, in which fragments of abandoned canvases are juxtaposed with the artist’s photographs of details of domestic interiors, bleached, abstracted and transfigured by light; and these new triptychs seemed to have been put together in a similar spirit of recycling and re-use. Not that there’s anything intrinsically wrong with an aesthetic based on bringing together fragments of existing work in new arrangements, of course: where would the art of the last hundred years or so be without it? In essence, though, these paintings were having nothing to do with the open-ended, disjunctive possibilities of collage and assemblage; they were monolithic statements of symmetry, corralled together out of identically-sized units, and in my view, it is this striving after monumentality, and the use of symmetry in the attempt to achieve it, that has had such harmful consequences for McKeever’s work. 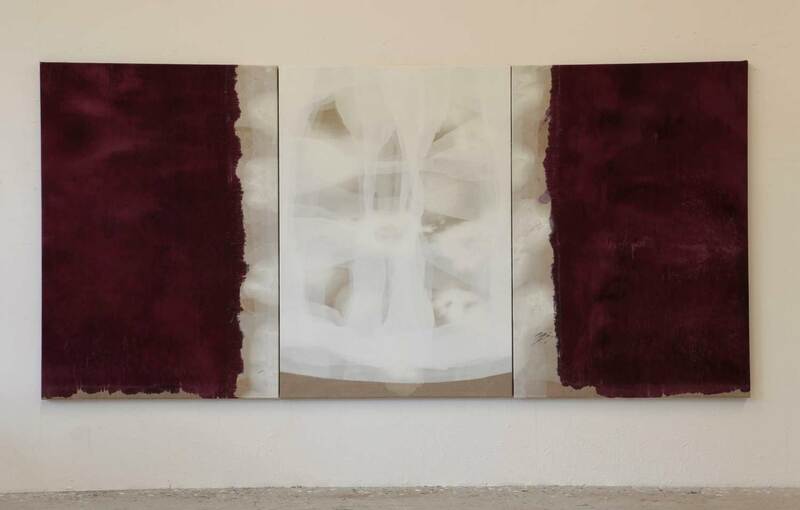 Making paintings in this way – establishing a central image and flanking it with panels that reflect each other – multiplies the physical size of a work, but does nothing to enhance, or increase the amount of, its real content. Because their sides ‘echo’ each other, rather than speaking with two distinct and different voices, symmetrical images cannot hold our interest from edge to edge, and therefore have the tendency to collapse, visually, folding inwards towards their centre. It’s clear that McKeever sensed this, because in each of the triptychs he had deployed a whole arsenal of painterly incidents along the outer edges and panel divisions: in some, the central imagery of overlapping veils crossed a little way into the side panels, and along their bottom edge; in others, the poured or scumbled borders of the flanking colour fields stopped short of the canvas edges on three sides, whilst the central image sported sharp, clean masking-taped edges; and in the show’s one all-black work, the paint had been allowed to bleed out in regularly-spaced patches across the edges of exposed canvas, in a clear reference to his works of the 1980s, in which blow-ups of the artist’s landscape photographs, complete with borders of black-on-white sprocket holes from their 35mm negatives, were collaged onto the paintings. All of this, presumably, to be understood as an attempt to use activity on the works’ margins as a means of keeping a grip on surfaces that threatened to fall away, leaving the central part of each work stranded as a ‘figure’ on a deep recessive ground; but even if the attempt had been successful – which it hadn’t – no amount of surface embellishment could have concealed the fact that these paintings were essentially single, self-sufficient upright rectangles of all-over imagery, boosted to mural width by bolted-on side panels that had no real justification for being there. However misconceived the ‘Portrait’ series might be, I believe it’s still true that, over several decades, there has been a lot to admire in McKeever’s output. 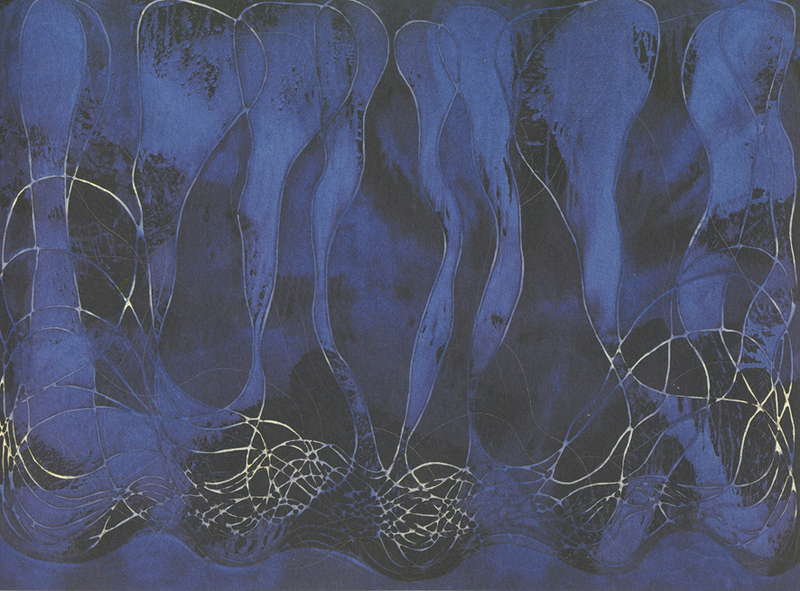 In the best of his ‘Traditional Landscapes’ and ‘Lapland Paintings’ of the 1980s, the collision of painted marks and the stark collaged photographic forms of glaciers, oceans, rocks, or tree limbs seemed to offer a way of moving instantaneously back and forth between the Romantic landscape tradition and gestural abstraction without lapsing into either picturesqueness or debased, kitschy expressionism: ‘Hearing You Breathe II’ of 1986 is a particularly good example, in which the spiralling trails of black paint pick up the ‘cues’ in the photograph of tangled branches, spilling out onto the raw canvas ground, merging with the upright stained form on the right side of the painting; and from there, returning into the photograph. 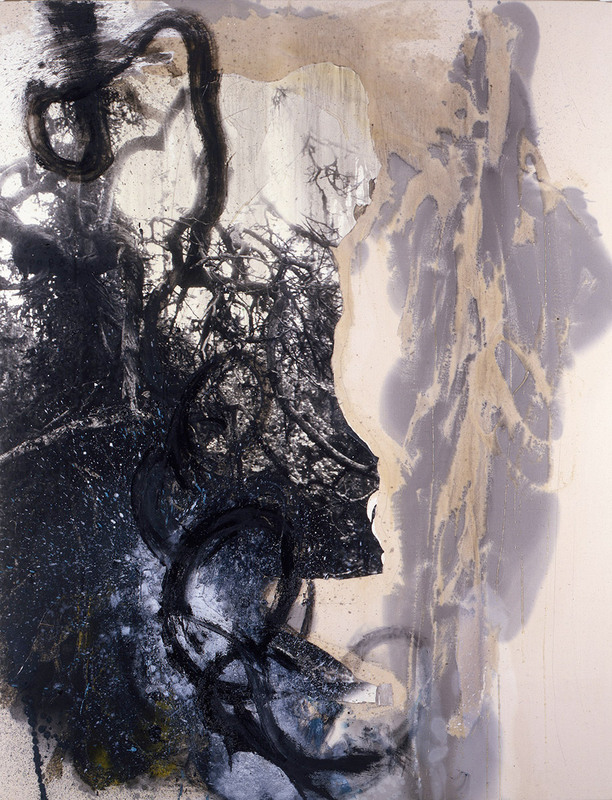 In the subsequent ‘History of Rocks’ and ‘Diptychs’, McKeever went far further, pouring on alternate layers of oil and water-based paints, encouraging the pigments to separate out into tides and clusters of frothing white on black, black on white, submerging and obliterating the photographic fragments in ways that feel almost geological: the paintings evoke mud slides, lava flows, river beds. I would argue that in these series of works, and in many of the ‘Door’, ‘Hour’ and ‘Hartgrove’ paintings that followed, McKeever was feeling his way forward into an area that was full of possibilities, building lattice-like structures out of the pathways of wide brushes, and allowing the stained and spattered canvas ground to show through, flooding the images with strange, flaring effects of light. These works balance deftly on a knife-edge between materiality and illusionism; and it is this balancing act that makes them so compelling. It’s at this point, however, that the rot sets in: it’s as if McKeever developed and mastered a painterly language of transparency, viscosity and luminosity, only in order to have it ‘housebroken’, as it were, and set to work in ways that feel formalised, formula-bound, and, despite his commitment to abstraction, sometimes surprisingly illustrative. A looping, meandering linearity enters the work, and the paintings no longer feel as if they’ve been arrived at through a free encounter with the medium. 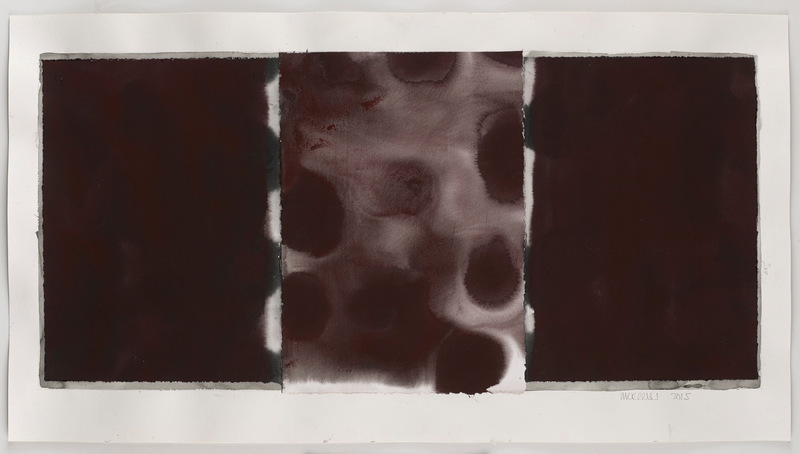 Regarding the ‘Diptychs’, McKeever had spoken of starting with ‘vague ideas of qualities, properties, entities, domains, levels’; yet the ‘Assumptio’ and ‘Marianne North’ paintings of the mid-1990s, by contrast, are over-determined, too much an attempt to force an image into being by drawing with the paint, and as such, there’s actually something faintly ludicrous about them, a kind of corny, illustrative, ‘sci-fi’ spookiness in their pale tendril forms: I keep expecting to hear a Theramin playing on the soundtrack when looking at them. From that point onwards, the linear structures in the paintings fatten out into wraith-like bands, and other elements have since found their way in, such as the overlapping clusters of ectoplasmic ovals that attach themselves to the latticework in the long, horizontal ‘Temple Paintings’; but the schematic, pre-plotted feel of the work has hardened into an undeviating symmetry and frontality, and stayed that way up until the present. Which begs the question: how did such a gifted artist end up imposing so many constraints on what he makes? What happened? Judging from the evidence of the paintings, and from McKeever’s own extensive writings on his art, I think it’s fair to say: Newman happened. 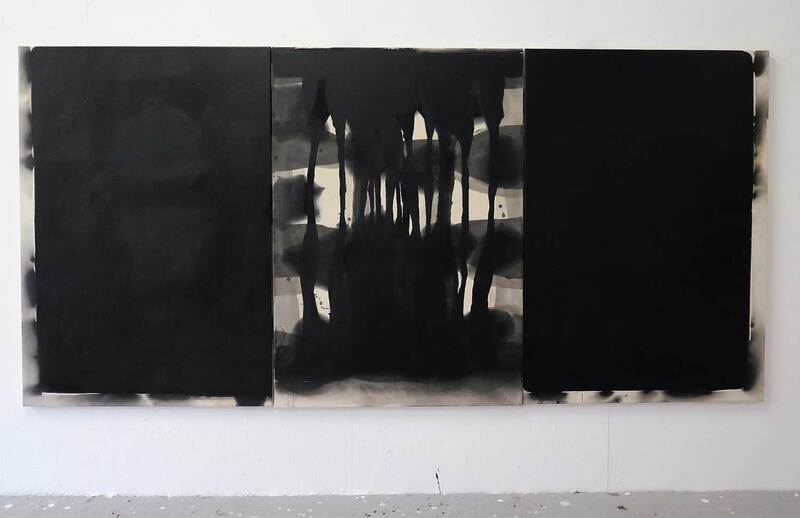 Even in the early days of his career, McKeever had him in mind: he has spoken of ‘standing under a waterfall, framing it in the camera and thinking of a Barnett Newman painting’; and in the conclusion of ‘To Myself’, the last of his three essays grouped together under the title ‘In Praise of Painting’, he describes ‘attempting to find a way to Newman. To find for myself, how I might come to the paintings.’ The hieratic frontality, the all-overness, the symmetry, the fields of single colour in McKeever’s paintings are all there in Newman, as is the faith that underpins the work: faith in what McKeever has called the ‘preposterous idea’ that ‘if one can pierce through the surface…there is a truth to be found, and at the end salvation’s holy sepulchre.’ In the end, then, how one feels about McKeever’s current work depends very much on whether one believes that ‘finding a way to Newman’ is a journey worth making. Quite. Except that, whereas I might have once swallowed that whole, I now understand that painting of the sort that McKeever is now making – frontal, symmetrical, largely single-coloured, ever more non-relational – doesn’t resist the tendencies he describes, but colludes with them. 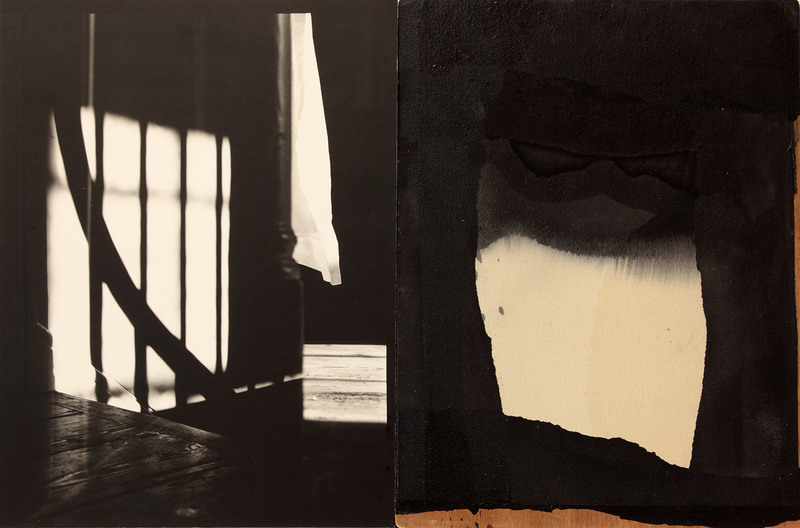 McKeever aligns himself with Newman, whose assertion, in his essay ‘The Sublime is Now’ of 1948, that the image in his canvases was ‘the self-evident one of revelation, real and concrete’ (not so self-evident, apparently, that he could resist the urge to back it up with a written polemic) can be understood as the jumping-off point for all subsequent painting that demands to be taken on faith, and to have its emptiness read as fullness: here ‘less is more’ has turned malignant, and travelled to its illogical extreme, ‘nothing is everything.’ And this ‘faith position’ sits remarkably comfortably alongside the ‘literalist mindset’ (to borrow Michael Fried’s term) of the ‘post-Makers’; they may well differ on points of doctrine, but to both groups, the blankness of Malevich, Martin, Marden and Newman has across-the-board appeal. To ‘post-Makers’ the absolute material literalness of minimalism obligingly brings painting to its fervently wished-for end point; whilst to those of the ‘faith position’ it offers transubstantiation, transcendence, a screen on which to project an experience of extreme subjectivity, of a kind of rapture, such as McKeever describes having in front of a Newman ‘zip’: ‘All at once, we see seemingly nothing. Yet, all at once, everything is there before us.’ Well, good luck to him, and to anyone else who finds themselves able to arrive at a state of exaltation through the contemplation of the path left in an area of a single colour by the removal of a strip of masking tape. For myself, I consider Newman’s work a hopeless mismatch between grandiose intentions – his statement in support of his ‘Stations of the Cross’ paintings being a particularly good example – and the extreme, simplistic banality of the formal means employed to realise them; just as much a denial of abstraction’s real possibilities as any amount of wall-text posting, institutional-critiqueing ‘post-Making’. 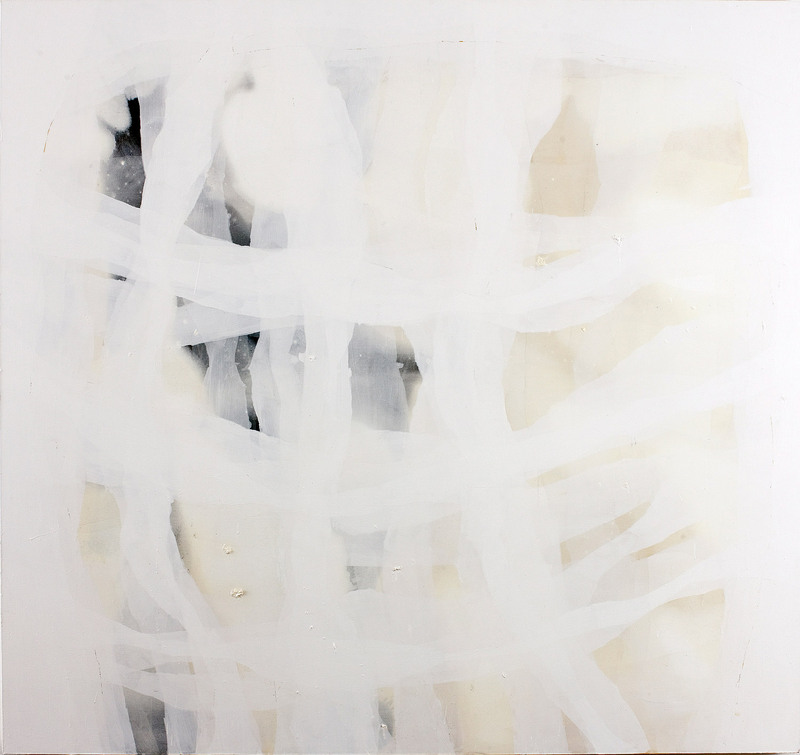 As McKeever’s new paintings demonstrate, ‘finding a way towards Newman’ leads only to a dead end. What an excellent piece! The critique is penetrating whilst remaining fair and even-handed, seeking to enlighten us with descriptions of earlier work, and attempting to address where some of its promises may have been squandered. And what an open and heartfelt account of the role Abcrit has played in cultivating one’s personal critical faculty, or indeed that of us all, as we try to pursue an abstract art, in whatever guise, that cuts through the crap, be it that of the “post-makers” or the romantic minimalists, in the hope of making something that is rich and meaningful on its own unique visual terms. Questioning and dismantling the use of tropes such as symmetry and masked edges is a very good starting point. Like switching alliances in political party or believer to atheist. Tough but exhilarating to be honest with all those itches that would never go away. We have all been to some degree been implanted with false ideas. I’m waiting for a similar epiphany by some courageous author on Jackson Pollack. I don’t quite get the “finding a way towards Newman” argument. McKeever must admire many painters – from Russian Icons to Georgia O’Keeffe. I find his work highly subjective, experiential and grounded in the daily practice of painting (including the time spent in contemplation – a term that not all AbCritters may approve of) rather than programmatic or theory-bound. I don’t have enough experience of looking at the ‘Portrait of a Woman’ series to make an informed comment, but the ‘Against Architecture’/’Eagduru’ panels strike me as complete in themselves – irrespective of developments in his larger paintings. It will be interesting to see if the works at Matt’s Gallery are a precursor to further major paintings – though I doubt it. I wonder if they aspire to the condition of sculpture? Could I thank you for your review of my exhibition of recent paintings ‘Portrait of a Woman’ at Galleri Susanne Ottesen, in Copenhagen, which you wrote recently for Abcrit. Clearly you gave over time and thought to my work and I appreciate it. I do not wish to take issue with you over your sweeping suggestion that over the years the quality of the work has deteriorated, we all tend to have preferences for certain phases of an artist’s work, and given I’ve been working for 45 years I recognise it comes with the territory. However, what I do feel I have to respond to is your intent to shoe-horn my recent work into what might be described as a post Newman reductionism, your hypothesis being based on extrapolating very brief extracts from my writings. This simply is to fabricate. In the 40 plus years I have been writing, mostly about painting, I have mentioned the work of Barnett Newman three times. Other artist’s I have on the other hand written extensive essays on, including, Emile Nolde, Edvard Munch, Georgia O’keeffe, William Blake, Richard Diebenkorn, to name just a few. My first mention of Newman, which you refer to, appears in the small pamphlet ‘Black and White and how to Paint with a Hammer’, 1982. 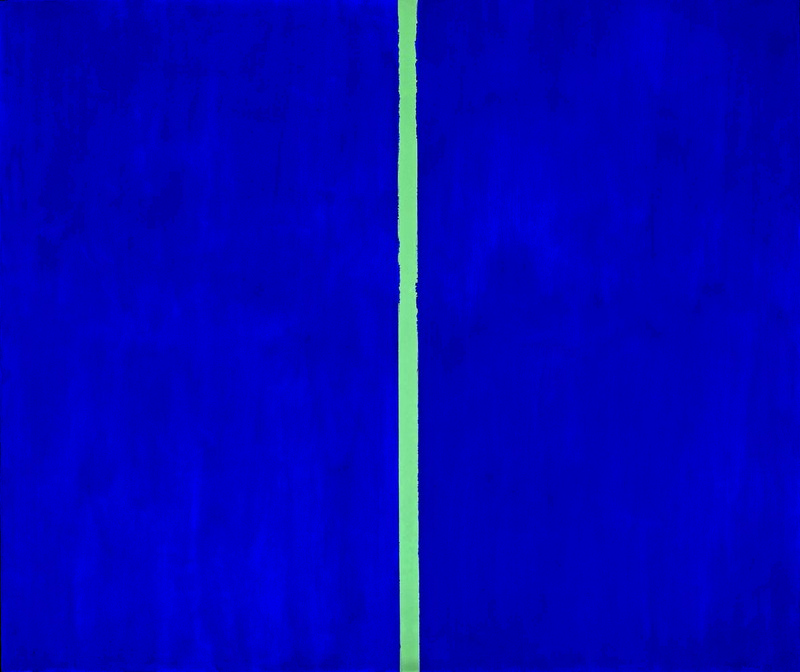 The passage is three lines long, and refers to the sensation of standing under a waterfall, framing it in a camera and seeing a composition similar to a Barnett Newman painting. In other passages in the same section of the text, the work of Hamish Fulton, Anselm Kiefer and Bruce Springsteen are also similarly briefly referred to. The second time, a short meditative text drawn from the book of three essays I wrote on painting, ‘In Praise of Painting’ being the text upon which you seem to hang the thrust of your argument. Coming at the end of the third essay ‘To Myself’ in a section titled ‘Painting and Countenance’ which is about portraiture, self portraiture and the attentive state the verticality of a painting in mirroring one’s own vertical presence in the world can induce in the viewer. The feeling that what is absent in a painting, that which is not there or simply implied, as in the empty central section of Simone Martini’s Annunciation, can hold one in an expectant state of alertness. An acute sense of being held in the moment, which in painting the painting the painter can also find. Clearly, I did not get this across to you, perhaps the piece of writing in being truncated and having a rhetorical element, suggested something else. However, if there is a something else then I would suggest it is an illusion to T.S. Elliot’s magisterial ‘Four Quartets’, time past, time present, time future, all time held in the moment. A condition one senses in much good paintings. The essay ‘Painting and Countenance’ is, as is much of my writing on painting, discursive by nature, an attempt to try to find another way to speak about painting beyond the overbearing arc of formal judgemental criticism, which has been, and continues to be so detrimental to any meaningful debate around painting, especially abstract painting in this country. My sighting Newman is not a declaration of blind faith in Newman as you would appear to be suggesting, rather his work is used as being appropriate to illustrate a point. In the same essay I also write about, Botticelli, Simone Martini, Wilhelm Hammershoi, and Lovis Corinth amongst others. All I would deem important painters just as I would Barnett Newman. In a catalogue on Robert Motherwell in which appear several of Motherwell’s writings there is a short passage ‘……. when he reads my writings he learns what I have been reading, but when he wants to know what I am really concerned with he looks at the paintings’. I wonder what the dude was sayin’, or was he just lost in the flood? I wonder what they were gettin’ into, or were they all just lost in the flood?